For the month February i used Arnold by Daniel Torrente. Happy Valentine to you all! Labels:www.making-mini-scrapbooks.com/ Arnold, challenge, craft stamper, Daniel Torrente, february, sdc, stampotique, Stampotique Designers Challenge. Adorable card!! Thanks for joining us at Stampotique! Wow! I Love your Valentine card! 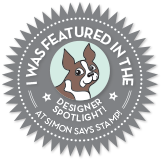 Thanks for Play with us at the Stampotique Designers Challenge. Fabulous ❤️ thank you for joining the Stampotique challenge. I love it!!!! Thank you for joining the Stampotique challenge!!! A bee for SDC 318.